Palestinian Authority official defends decision to name school after mass-murderer responsible for Munich massacre. The Palestinian Authority refuses to budge following criticism of its decision to name a school after the mastermind of the 1972 Munich Massacre, according to a report by Palestinian Media Watch. Facing condemnation from Israeli officials, including Prime Minister Binyamin Netanyahu, for naming a school after Salah Khalaf, who was the head of the Black September terrorist organization which carried out the kidnapping and murder of 11 Israeli athletes at the 1972 Olympic Games in Munich. PA official and District Governor of Tulkarem, Issam Abu Bakr, responded to the Israeli condemnation by saying that celebrating terrorists and murderers is part of Palestinian Arab culture. "The occupation is deluded if it thinks that the Palestinian people can change its culture and forget its leaders, Martyrs Yasser Arafat, Khalil Al-Wazir (Abu Jihad), Salah Khalaf, and a great number of the fighters who sacrificed their blood for the freedom, independence, and establishment of the independent Palestinian state whose capital is Jerusalem." 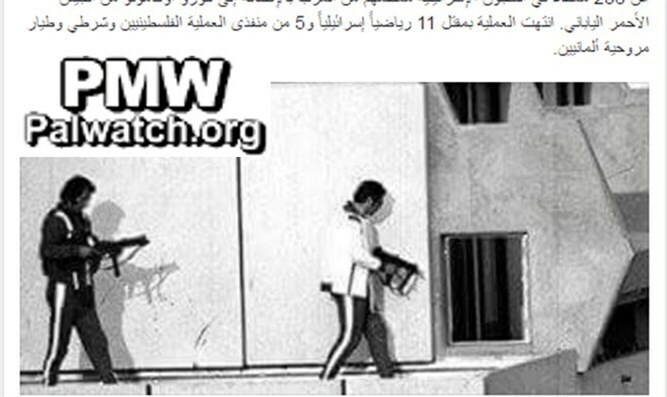 The Fatah government of PA President Mahmoud Abbas has along history of praising the Munich Massacre and lionizing the terrorists who carried it out. Last month Fatah called the Munich Massacre a 'heroic operation' on its Facebook page, saying that the murder of unarmed athletes showed the 'courage' of Palestinian Arab terrorists.